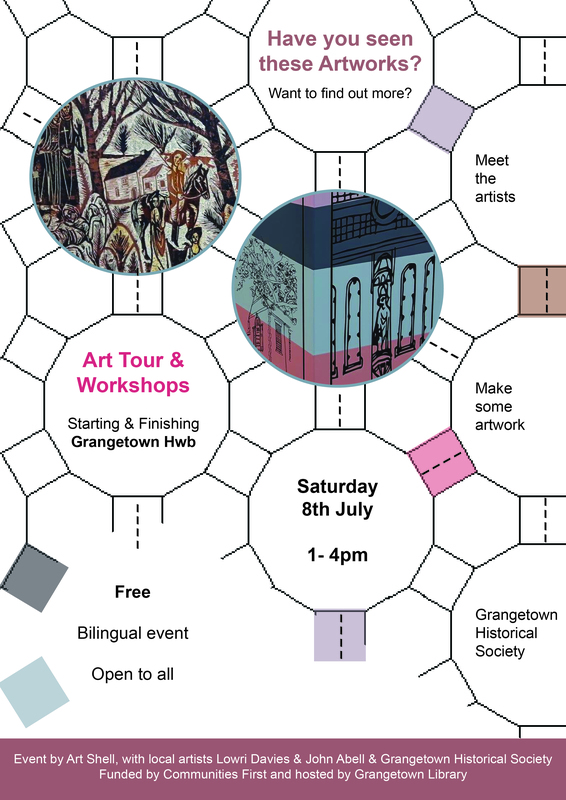 This month we organised an art tour and workshop on the Penarth road Junction and Grangetown Hyb based around the two local artworks commissioned last year. Grangetown Local History Society described the historical background to the artworks as part of a short tour, which was followed by a workshop by Lowri Davies who designed the work on the BT box. The workshop was based around transfers, a technique which Lowri often uses in her own work.